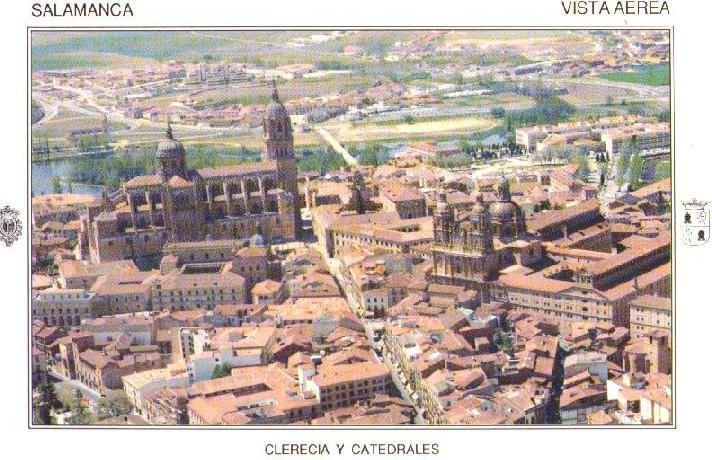 Salamanca is best known for its university, the oldest in Spain, and once, long ago, among the four best in Europe. 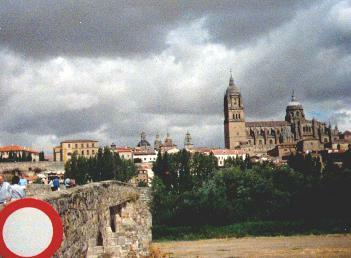 On the left you see the Salamanca Cathedral across an old Roman bridge that still carries some pretty heavy traffic. On the right is an open area in the center of town where some Peru and Equador indians were performing for the passers by. I was hoping that they weren't singing for their supper because they would be sure to go hungry. The old stonework of Salamanca seems to be more intracately carved than in your average Castalan city giving it a richer feel. 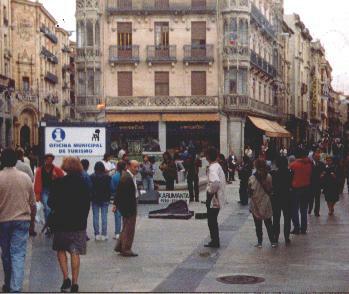 I managed to arrive in Salamanca during a festival so traffic was heavy and rooms were dear. I decided to move on after one night.